Yes, I admit. I harp about water, water, water virtually non-stop. But I realize that perhaps I haven’t provided you with a thorough foundation as to why I’m so seriously convinced that a self-reliant water scenario is a serious issue for families of any and every size, regardless of what your water source is. Municipal, river, spring, well, etc. They all have some realistic vulnerabilities for which we should prepare in an effort of self-reliance. First of all, I cannot stress sufficiently that the water we drink, including that which we pay exorbitant prices for, is not all it’s cracked up to be. In fact, the 2009 American Civil Engineers reports most recent rating graded our drinking water as a D- along with the D grades for our waterways, levees, and waste water systems! (Issued every 4 years.) As such, the slightest interruption or disruption to those sources can cause an uncomfortable crisis. 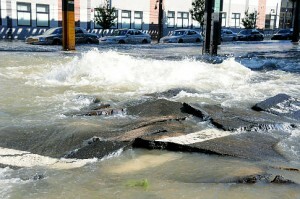 For example, in May, 2010, a water main broke in Boston, MA. Individuals who normally would have been on their way to work while pounding out multi-billion dollar deals were instead waiting in a massive line of idling cars in order to claim their single case of water to get them through 3 days of a “boil water order.” Like fighting for an additional eighth of a point commission on a multi-billion dollar deal, some of the recipients unleashed a diatribe of vulgarities when they discovered they would not be receiving two cases of water after idling their Mercedes in the line for over an hour. Yup, all this drama and stress modifications to millions of lives all because there was a breach in an aqueduct far outside the city in a suburb—a breach caused by the failure of a simple coupling that was only 7 years old. The repairs threatened to take weeks, but were completely miraculously in only 72 hours. In typical political fashion though, this small incident garnered Barrack Obama’s interest as he signed a disaster relief bill to pay for up to 75% of the costs of restoring the coupling. Wouldn’t it have been a lot easier if our water systems were well-maintained all the time so that we didn’t have to tax the rest of the American citizens for our own follies? Our water sources are pooled throughout the nation via reservoirs, dams and levees. The integrity of these structures is just a part of what determines our water resources—of which we use 408 billion gallons of DRINKING water a day! However, just because it flows into our home, doesn’t mean it’s what we’d approve of putting into our body. Why? Well, it has a lot to do with the infrastructure that directs and protects our water. 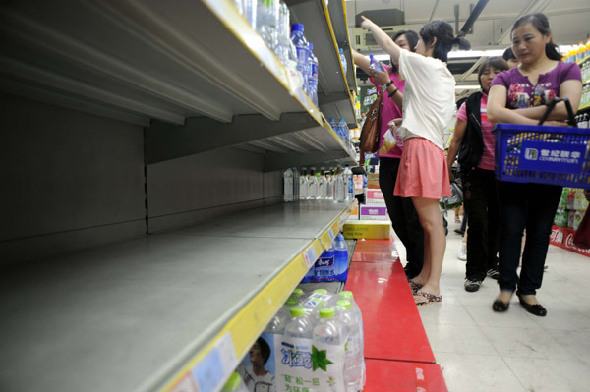 Is a water shortage realistic? Unfortunately, yes. For example, on a dry day in the NY subway systems there are 200 pump rooms which are responsible for removing over 13-15 million gallons of water from the underground caverns every single day—water which exists only because of seeping, leaking water pipes. According to the American Society of Civil Engineers, they claim that we have water leaking out of our water carrier pipes to the tune of 7 billion gallons every day. We lose an average of 10 percent of our water supply every year according to the EPA. Even worse, we have over 10 billion gallons of sewage seeping into our drinking water pipes every year—that’s AFTER it’s been treated by the municipalities! Keep in mind that a significant portion of our water delivery systems have been in place since shortly after World War II and over 25% of them during the Civil War! This year as we’ve experienced extreme heat and extreme cold, water main pipes have caused over 25 billion worth of damage—repairs which were NOT included in the budget whatsoever. Oklahoma reported over 685 main breaks in Oklahoma City in the month of July alone—four time the normal rate—as a result of the extreme heat temperatures, causing water to be shut off just when residences actually needed it most. Think you’re safe? Think again. With NORMAL temperatures, a water main breaks every two minutes in the U.S. for a total of 300,000 a year! Most of the underground mains are 80 to 100 years old, several times past their expected life range. In Washington D.C. the average age of a water main is 77 years old. We’re not talking about patching here, we’re talking about needing a complete replacement. But nowadays when we go in to replace these antiquated systems, we’ve got cable, phone lines, and electrical lines to be concerned with as well. When the water mains go, so do the services near these water mains. This past summer, the town of Kemp, TX suffered from 14 water mains breaking on August 7th during one of the worst droughts ever—leaving residents without any water for nearly a week. Can you imagine what that would do to commerce in that town? What if such a crisis were to happen in a town in which pharmaceuticals are manufactured? Perhaps this makes some sense as to why the average increase costs of sewage and water services are 13%! We haven’t even begin to touch all of the KNOWN toxic chemical seepage instances that we know about, which no one claims to have any authority to stop. Oh, and by the way, did you know that we don’t have a single federal agency which oversees our water? Yeah, but let’s bring on those oh, so necessary unconstitutional czars! All of these weakened and ignored levees/dams dot the entire U.S.—some even tower over our communities and schools. We all saw what happened when Hurricane Katrina stirred things up. Even without the levees breaking, the water contained horrific substances just waiting to be absorbed into our bodies through the skin. 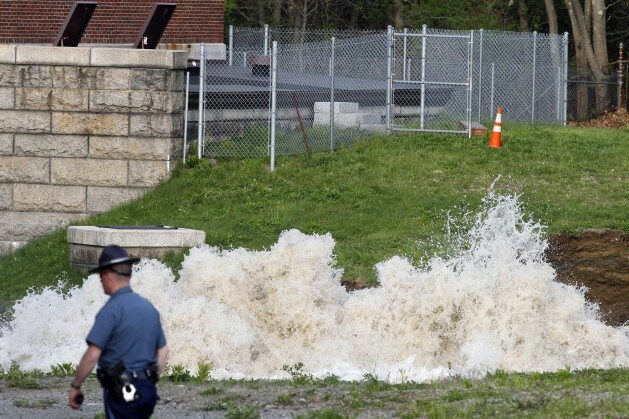 The water contained raw sewage, chemicals, petroleum, and gases. We can’t live side by side with these dangerous substances and presume that they will keep to their own corners and behave even when a tornado, earthquake, or some other accident takes place. We make a big deal about how vulnerable the levees were in Louisiana, but the fact of the matter is, we heavily rely on these dams and levees to hold back trillions of gallons of sewage and toxic sludge. We don’t have inspectors who stay on top of these matters; and we’ve learned from the Katrina incident that even when a warning is issue it goes unheeded. Out of 85,000 dams in the U.S. only 11% of them are owned by the government, leaving the rest to be maintained by private corporations and private entities. 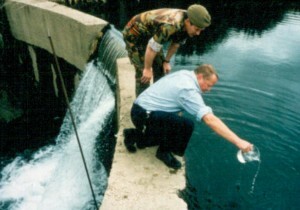 There are at least 4,095 dams that are presently rated as “unsafe” with 1,200 of them listed as “high hazard.” That may not seem like a lot to you, but when you consider that there are thousands of orphaned corporate dams abandoned by the corporations which created them, remembering and the majority of all of the dams are not even inspected--that's now a scary number to behold. For example, Alabama has NO inspectors for their 2,000 dams. I wonder how many of them are considered “high hazard”? Texas has 7,400 dams with only 7 inspectors. Those inspectors only get around to 230 dam inspections in 2 years time! Iowa has 1 full-time and 1 part-time employee to oversee 7,400 dams, and have only looked at 129 dams once in the last 4 years. So, do we feel comfy cozy in the security of our water supplies? We simply cannot believe that the cozy comfy services we presently enjoy will continue to go on forever. We must take on the responsibility for our hydration, cooking, and sanitation now! Instead of coming up with all of the reasons why we “can’t” accomplish it, we need to start asking ourselves how we CAN accomplish the need to provide sufficient water for our families. Just as a reminder, you need a minimum of 1 gallon per person, per day, for a year. Why a year? Well, let’s see. 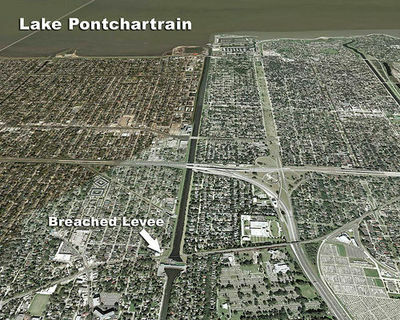 How long did it take for the levees to be repaired in Louisiana? Oh yeah. I forgot. They STILL aren’t finished. *sigh* I don’t want you scared. I want you at peace, but without a false pretense. Fully informed peace of mind is still very realistic, folks. Oh, and by the way, for the umpteenth time, NO, you do not need to rotate your water. Put it in and plan on filtering it once it comes out. We can go over various filter options in a subsequent article. In fact, considering how our water systems keep getting worse as time goes on, I’m more comfortable putting the tap water in today than the tap water of tomorrow. And we've all heard about the horrors of the "bottled" water that we pay crazy prices for. I have no idea where I will store 730 gallons of water to last a year for my husband and me. What to do, what to do? I'm with Sharon. Does anyone have a list of ideas or suggestions on where to store this amount of water in a city home? I do have one water barrel outside and a few inside. But I honestly don't know what more I can do. Hope the seasoned ones can give some suggestions. I've got you covered, Lynn. Don't worry. Oh, and by the way, the solution is actually closer to YOU for a change than us folks down here in the U.S. :-) I'll be writing about it next week. Well, not seasoned. I was wondering what people think about adya clarity. I've been using it and filtering it through my black berkey after and I really like the water. I am going to be buying 3 55 gallon drums and use them to collect rainwater from my rooftop which I treat with adya clarity and filter later. This seems like a reasonable plan though I may need to add more barrels later. I am fortunate enough to have a spring fed creek on our property as well so if push comes to shove I could treat & filter that. I am trying to nerve up to start doing it now but so far I'm too queasy, wondering if the adya and the black berkey REALLY get all the nasty stuff out! I'm sorry to say, Terijo, but I've found some really interesting information lately about the main filters and what they do or don't remove from the water. I have the biggest Berkey with 8 different filters. The fact of the matter is, I would never put "worst case scenario" water in that thing. It's simply not made for that. Keep in mind that with Adya and Berkey, the moment you start using it, the clock starts on TIME, not water. Because that smidgen of percentage of contaminants that they don't clean out are left within the media bed to create colonies throughout. All they need is a warm and wet environment and in 3 to 6 months, you're better off drinking untreated water than the high concentrations which can occur after time. Unfortunately, back flushing doesn't do any good against viruses. Bacteria is a pollywog compared to those. Berkey cannot kill viruses nor can it take out nuclear metals/matter. Good news though is that a brand new product just got released after about 9 years in development that actually DOES take out these particulates and kills all bacteria and viruses completely--none of this ".01%" stuff getting through. It's made for Hurricane Katrina type of water--you know, raw sewage, petroleum, gases, toxins, etc. I'm writing a review on the product over the weekend and will post all of the details shortly. As a rule of thumb, trying to make potable water by adding something to it, is one of the lesser reliable methods. If you live in an apartment, this blog entry may help demonstrate the hazards associated with that lifestyle choice. There simply are many limitations which are very difficult to over come, and you are too reliant upon others for infrastructure needs. If you are in a city, with some amount of space, perhaps for a small garden, then you may have some options. Hot tubs, pools, "garden ponds", and even water beds, all can supply non drinking water, to help ease your need for storing some water. Not to mention underground cistern type set ups. You can get underground 1500 gallon, or even larger, tanks sunken into your back yard, tell your neighbors it is a new system for composting or something. Not all the above are cheap, but at least you have some ideas to explore. A better option is to get out of the city, to a location with some room, privacy, and a natural water source.....but understanding that this is not possible for all, the costs of living in the city, for a prepper, are many. Actually, there are units which take up an even smaller foot print and are more discreet. I'll be providing options next week. Thank you Kellene, I for one will be waiting with baited breath ! Thanks for all that you do. Kellene, I have found your website to be both helpful and thoughtful. I agree that our water supply is precarious and should not be taken for granted now and in the future. I respectfully disagree that we need to store a minimum of 1 gal. per person per year. For a family of 4 that equates to 1,460 gallons which would fill 26 55 gallon drums and the water alone would weigh about 5.72 tons! I have stored a 14 gallon supply per person for our family of 4. This is what the American Red Cross recommends. I use blue 5 gallon water jugs from PleasantHillgrain.com (look under storage & organization). They cost about $12.00 each and are stackable. I use the chlorinated water coming out of the tap and replace it every six months. I also have a 55 gallon rain barrel and a river that is about 150 feet from my property. I could also collect rain water into a bucket using a tarp. I have a Big Berkey Water Filter with 6 filters that can filter about 18,000 gallons. My plan would be to use the 5 gallon water jugs first and then water from the rain barrel and then from the river. I have 5 gallon food grade buckets that I would use to first scoop the water from the river. I would let the dirt particles settle over a day or two and then pour the water through a paper coffee filter before putting it through the Berkey filter. I think a lot of us live near water supplies that could be used. Many would have to bring the water back to their home with some wheeled cart. In a total collapse situation, I can picture ignorant people using these water supplies to bath and relieve themselves. That's why I plan to use the river last. In places that do not have fresh water supplies such as Las Vegas I think your idea would work but I think the people who live there would be doomed. I hope this is helpful. I hope I haven't come across as bragging or full of myself. That is not my intention. By the way, I live just outside of Boston and on the night of the water main break (a Saturday night) there was an orderly line about 300-500 feet long waiting to buy water. There were 2 or 3 police cars with their lights flashing keeping things under control. Paul, this isn't the first article written about water. I've illustrated both in articles and on the radio show why one gallon is a bare minimum. However, that's not necessarily to say that it should be stored. Your water suggestions are ideal IF you feel you can leave your home and get to it and IF you have the proper supplies needed to make such water sources "potable" in spite of radioactive matter, viruses, gases, etc. Having the ability to TREAT enough water for one person, one gallon, per year should be the absolute minimum and with the proper way to filter even "worst case scenario" water. Unfortunately, American Red Cross is not the authority on worst case scenarios for long term survival any more than FEMA is or your local government municipality. They do not stay on site of a disaster for longer than 90 days. I've researched far too many likely scenarios to be comfortable with the short-term plans and recommendations of the American Red Cross. They are great for initial response in many cases, but they are not about long-term self-reliance. Like I said in the article, instead of discounting what needs to be done, let's try to figure out how it CAN be done to the best of our ability. I realize that the message is not warm and fuzzy, but unfortunately, it's still an accurate recommendation based upon realistic possibilities. I don't believe in "doom". I believe that God has given all of us the opportunity to properly prepare whether we live in Las Vegas, Boston, or San Antonio. We just need to proceed with factual information. One last thing, I too have a Berkey with 8 filters. The filtration system is good for 40,000+ gallons, however, it's not about the number of gallons, it's about the TIME. Neither you nor I are likely to get through that amount of water in 3 to 6 months, and unfortunately, once you begin using the Berkey, that's the time you've got before you start to develop colonies of spores, mold, bacteria, and viruses. Unfortunately, the way they market their product, sometimes even contrary to the small print on their materials, gives folks--including myself initially--a false sense of security. I have not yet a Berkey but am planning on it once funds are available. So, if I understand correctly, that I must plan on changing out my filters every 3-6 months even if they haven't filtered the amount of water expected? Is that the same reason I'm to change my RO filters out so often? If you'll be answering these questions in next weeks article, I'll wait for my answer then. Yes, that's exactly right. I wish I had done my homework before spending almost $700 on my Berkey. But at least I can help some one else not make that mistake. I struggled for some time with storing water efficiently. I've filled spaces under beds and couches with 1 liter bottles until I can't cram any more in. I want to use large barrels, however, I just don't have the space for them, plus they are difficult to move. One of the finest solutions for me was finding a source on eBay for brand new mylar bladders with spigots. These are the bags used for boxed wine. Each bag will hold 2 liters of water easily, a little more if you get really good at filling them, and are extremely tough. Bought in bulk, I paid about 99 cents per bag shipped. Once filled, I store them in 12"x12"x7" cardboard boxes, up to 7 boxes high, alternating each row with boxes stacked horizontally and vertically. With the uniform boxes, space is used efficiently and the boxes are very easy to move individually. I've covered one wall at my storage unit, and I've been able to rearrange closets at home, stacking a few boxes to either side, yet still leaving room for other items. Depending on your climate you let the atmosphere store the water for you with a rain barrel that is located underground. Yes, you need to pump it up but your storage is conveniently hidden out of sight. With a couple of solar panels, a small battery bank, a booster pump, a pressure tank, and a filter; the system is almost entirely hands off. If you are on a budget then a simple pump could lift water out of below ground tank. Then again, rain barrels under all of your rain spouts. If you live in an area with little to no rain then there are a couple of systems that come to mind. If you live on a concrete floor or have a secure area with a concrete floor then 55 gallon drums or a more compact 5-6 gallon square jugs that are filled using whatever source of water you are currently using. If you are in an area with water usage restrictions then you would need to find another source of water such as pumping water from a lake into canisters and filtering/chlorinating it at home for longer term storage. If you live in an apartment or somewhere with wood floors then I'd think about using 5-6 gallon square containers of water like college students use cinder blocks. I'm not sure where to find them but there are these cool little indicators that you can drop in a clear container that contain wax in a capsule that melts when the water is sterilized. Just leave the jug(s) in the sun! The final option is to drill a well, conditions permitting. I know, it's expensive, it's public, it requires electricity or human power to extract the water, and it's a gamble. But, a grundfos SQ or SQFlex pumps are amazing and I hope to switch the cheap one that the prior owners of my house installed for one this year. The SQ is much cheaper than the SQFlex but the flex is much less picky about it's power source. Darius, I believe you are referring to "WAPIs" Those are available at Five Star Preparedness dot com. They are great to use when all you're able to do is leave the water out in a jar in direct sunlight or with a solar oven. They also enable you to make potable water without needing to expend heat/fuel to bring the water to a full boil. since we have and are using a Big Berkey, may we atore in used gallon jugs, etc...then, pour thru Berkey as needed, even months fr. now???? Yes, but don't start using it until you absolutely have to. The clock starts as soon as you do. Please do not rely on it to kill viruses, remove radioactive material, and even some of the smaller bacteria. Once you begin using it you can't just put it on a shelf for a couple years and use it again. That ".01%" of bacteria, mold, spores, etc. is enough to create an entirely new colony of trouble in as little as 72 hours and definitely over a 3 month period of time. No backwashing in the world can get rid of those bad guys imbedded within the pressed media. I applaud the effort to store such a great deal of water but for most this might be a bit impractical unless you bury a cistern or have plenty of room to store a lot of 55-gallon drums. I look forward to your future articles explaining how to do it! As always, do the best that we can and then hope for the rest. But I have yet to find a client yet who's truly done what they can. It's got a great deal to do with priorities. How long can this water be stored? On a different website I've read that the water needs to be dated and changed out every three months. Mine's been sitting for over a year in clean, empty fruit juice jugs, water jugs, and a huge storage container. Will it need to be treated before consuming if it's been sitting around for a long time? Also, that other website said that long term storage of those cases of bottled water wasn't recommended because of chemicals leached from the plastic bottles. What's right? It's because of the misinformation that you've shared that I started Preparedness Pro--to get the facts straight and to make preparedness a realistic, panic-free process. If you will research on the topic of water storage on this blog then you will see the explanation and logic applied to what really should and should not be done regarding water storage. I once saw a video on Franklin Graham's charity site about the concrete water filters they made in Haiti to filter water. They were concrete boxes with various layers of sand, gravel, and silt and it filtered it into potable water. It described how to make one. Since that time, I discovered your site and tried to find it again and cannot find it. Anyone know how to find this video? I wonder if anyone at Berkey would like to weigh in on what you have to say. It would be interesting to see what information they have. Have you considered inviting them to write about the alleged problems? I've interviewed authorities in water safety, pharmaceutical water supplies, and water filtration industry extensively. That's what I call research. I don't know what you are talking about when you say viruses and nuclear waste. I'm just going to skip the nuclear waste comment because that is ridiculous. 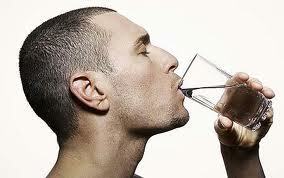 There is very little virus activity in water, they biggest threat is bacteria. You can use a berkey for years before you have to change them out as long as you keep them clean. People do it all the time just look on YouTube. If you really are that worried then I would say use propur filters because they have silver in them. Silver kills viruses and bacteria. Nuclear waste is ridiculous?? Perhaps you'd like to share such sentiments with the people in W. Virginia who are STILL drinking nuclear particulates as well as New Mexico and Florida. *smh* Someone making a YouTube video does NOT suffice on this matter. Bacteria begins to grow the minute you first use your Berkey. If you use the Berkey for a weekend camping trip and then put it away for several months, you'll have to purchase, all over again, the filters because of the mold, fungus, bacteria, and mildew built up--regardless of the fact that one is told that a particular filter can handle thousands of gallons of water.